Defining when a subconsultant is to be paid is one of the most important features of an agreement between a subconsultant and prime consultant, yet parties to these agreements often seem to fail to use clear and unambiguous contract language to establish if and when the subconsultant will be paid. The case discussed in this article explains that if the subconsultant agreement states the engineering subconsultant will only be paid within a certain number of days of the date the owner pays the prime architect, then the Architect must pay the Engineer within some reasonable time even if the prime Architect never receives payment from the Owner. This can obviously put a prime consultant in a difficult position of having to pay for services of its subconsultant out of its own pocket when the Owner fails to pay the prime. On the other hand, the subconsultant may justifiably argue that it should indeed be paid for its services by the prime since it is the prime consultant that has the relationship with the project owner and the theoretical ability to push for, or even sue for, payment. Likewise, the subconsultant might question whether the prime consultant that fails to push hard enough on the owner for payment is motivated by the desire to keep the owner happy and obtain future work. In any event, there is much that can be learned from the court decision discussed below. This second clause essentially amended the contract to better define what was intended by being paid “promptly” so that it became defined as 10 days after the Architect was paid by the Owner. After the Engineer had completed its services for the Architect, the project owner canceled the project and refused to pay the Architect. The Engineer then demanded payment from the Architect and filed suit when the Architect refused to pay. In response to the Engineer’s complaint, the Architect argued that its duty to pay the Architect was conditioned upon the Owner first paying the Architect. Since the Owner never paid the Architect, the Architect asserted the ten day clock for making payment to the Engineer was never triggered and no payment was owed. The essence of this argument is that the contract terminology quoted above constituted what is called a “Pay-if-Paid” clause that makes payment to a subcontractor conditional upon payment to the Prime from the Owner. In sharp contrast, the Engineer argued that the language of the contract was a “pay-when-paid” clause and did not make payment from the Owner to the Architect an absolute condition upon the duty of the Architect to pay the Engineer, but rather only allowed the Architect to wait a reasonable amount of time before making payment – even if the Owner never paid. 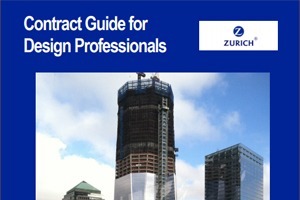 The court bolstered its conclusion concerning the contract language intent by looking to the “AIA Guide for Amendments to AIA Owner-Architect Agreements” (Document B503-2007), which states “AIA Standard Architect-Consultant agreements do not contain a pay-if-paid clause.” The Guide explains that “a ‘pay-if-paid’ clause must clearly establish the intent of the parties to shift the credit risk of the Owner’s insolvency and should contain the words ‘condition precedent.’ ” Sample language to accomplish making payment conditional is even set forth in the AIA Guide, and the court states that, in this case, the parties did not use the language recommended by the Guide or any similar language that would render payment conditional upon the Owner first paying the Architect. When insufficient attention is paid, during contract drafting and negotiation, to the details of the payment provisions, the parties may find themselves with very different ideas concerning the contract intent and whether the subconsultant is to be paid or not paid in the event that the prime has not first been paid by its client, the project owner. This is especially problematic in a difficult economy where project funding has been running short, and projects have been terminated or suspended before completion due to financial reasons that are beyond the control and responsibility of the consulting firms. From a subconsultant’s perspective, it makes little sense to agree to a pay-if-paid clause. The subconsultant typically feels that the prime consultant should take responsibility for managing the risk of client-selection (including financial vetting) and should stay abreast of client financial and technical capabilities during project performance (especially since the subconsultant often is not even permitted to converse directly with the Owner). Whether justified or not, the subconsultant may also feel that the prime consultant does not have sufficient incentive to aggressively fight with the owner for payment if it has no obligation to pay the subconsultant. A subconsultant may consider inserting a sentence into the payment provision of the contract that states something to the effect that “In no event, however, shall the Subconsultant be paid the uncontested amounts of any invoice later than ___ days after it has submitted its invoice pursuant to the contract.” That language clarifies that whether the clause in the contract looks like a “pay-if-paid” clause or a “pay-when-paid” clause, the subconsultant does not intend to indefinitely bear the risk of non-payment but instead must be paid not later than a specified period of time regardless of whether the Owner has made payment to the prime.